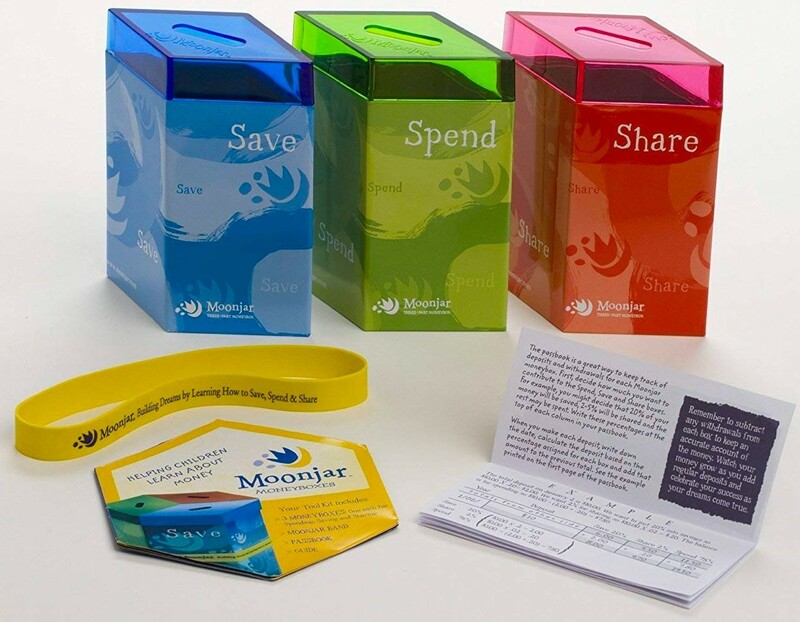 Moonjar moneyboxes were created as a tool for children and families to incorporate strong financial values and practices into their daily lives. 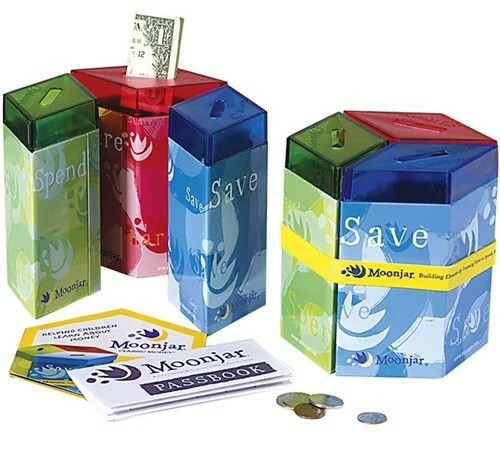 Launched in 2001, Moonjar moneyboxes are used in homes and schools around the world. 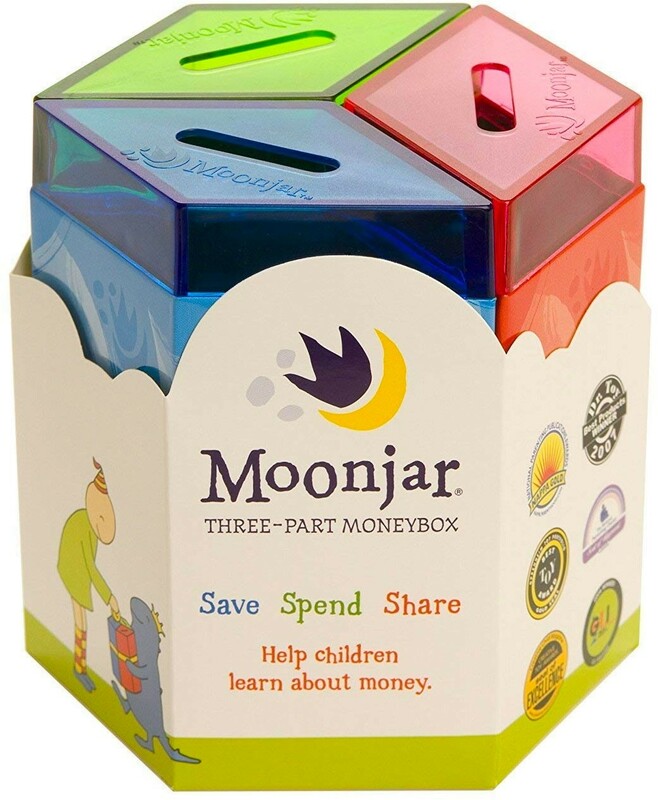 The overwhelming response from Moonjar users; mothers and fathers, sons and daughters, grandparents, retailers, and financial institutions, has enforced the vital need for a fun, accessible, and affordable tool to help change how children develop a basic understanding of good money habits by being responsible for dividing their money into compartments dedicated for saving, sharing, and spending. 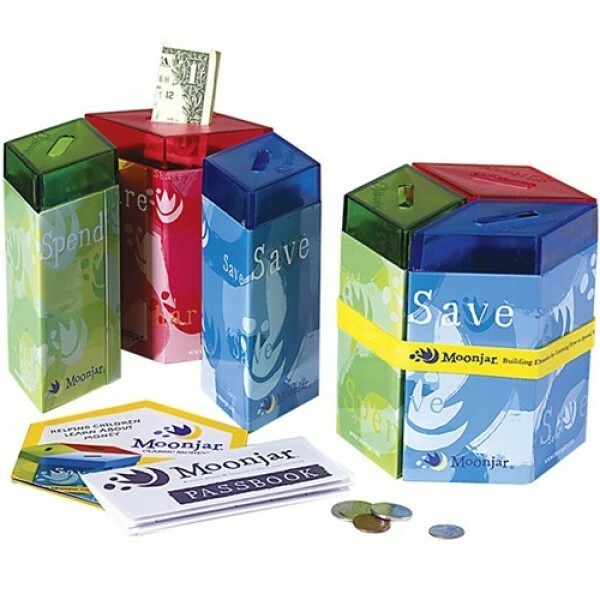 This durable retro-tin Moonjar Moneybox comes with a family guide, passbook to track transactions and three moneyboxes. 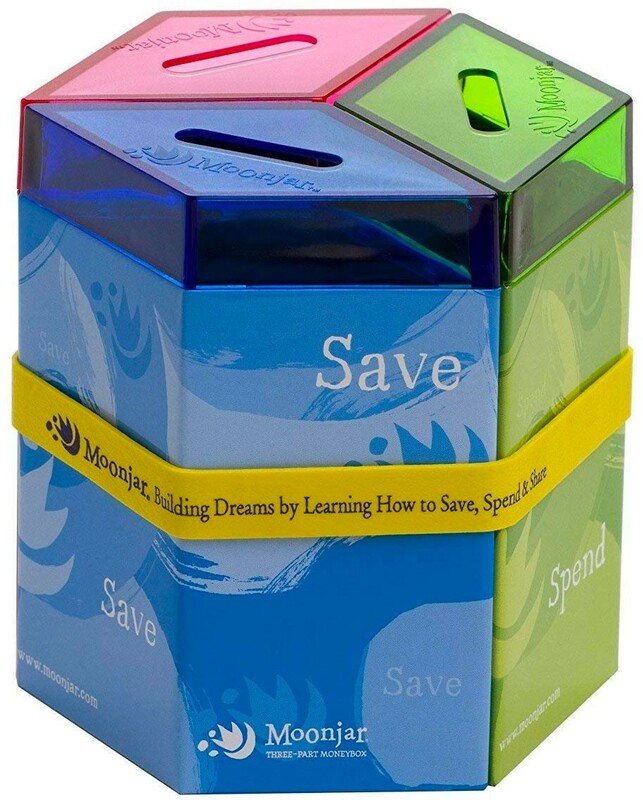 Each moneybox is fitted with a color-coordinated acrylic lid.